I was going to wait till I first post a comprehensive review of “I Live in Cheongdam-dong” to start this series, but I’ve been writing it for a week now and it’s nowhere near done. So I’m just going to start this series now before the videos become unavailable online and I can’t watch them anymore. If you’ve been following me on Twitter, you’ve sen me raving, like a woman possessed over the past week or so, about “I Live in Cheongdam-dong,” (ILICDD) the 170-episode, thirty-minute daily Korean sitcom. Well frankly, I was possessed. I’m no stranger to obsession, my last being only two months ago with “Queen In-hyun’s Man.” But my obsession with ILICDD is of a different kind; ILICDD has latched onto my soul and made itself at home. I’ve been entertained and obsessed over many dramas over the years because they touched my heart. I laughed and cried, and praised the quality of the storytelling. All those feelings were deep; I connected with those stories. But ILICDD went even deeper than my heart; it touched my soul. They say when you love someone, you can’t really list why you love that person; you just do. That’s why its so hard for me to write the review for ILICDD. I feel so much and have so many things I want to say but they all come out in a jumble. I desperately want to proclaim the greatness of ILICDD to the whole word but I find there are no words to describe exactly how this drama makes me feel and how good it is. For now, I will just say that the whole world is a better place because ILICDD exists…at least my world is. And isn’t that enough, to brighten even a single person’s life? There is so much humanity and love in ILICDD, so much wit and humor. The writing of ILICDD is intelligent and poetic, taking the task of communicating with its viewers seriously, but never too serious. ILICDD takes a critical eye to the contemporary Korean society, but it also knows how to laugh at our own foolishness. ILICDD is 170 episodes of perfection. Just utter perfection. I would have loved to recap this series if I could download the episodes and screencap. Alas, I can only find fuzzy streaming and and torrents, and I can’t torrent. Still, I want to write about ILICDD because every episode of it gives me something to reflect on, whether it be about Korean society, love, or about the human condition in general. So I decided to start this journal of sorts, a log of those reflections. An academic by training, every post I have published here took me a lot of time because I always had to fact-check and research before I wrote anything. This obsessive-compulsiveness (and my incompetency) deters me from writing; I find it a painful and time-consuming exercise. But I like to write and want to write about ILICDD. So I decided that that this journal will be a free-writing exercise, in which I will write as the thoughts come to me and what I know, without doing extensive research or editing. I want to be able to breathe through this writing; I don’t want to feel chased by the grammar and fact-check police. I just want to create a space for simple and easy conversation between myself and my readers. My only fear is that my feeble writing won’t be able to relay the awesomeness of this drama, and how much of an impression it leaves on me. These entries will generally be unstructured. I might write one entry for one episode or several at a time. I’m hoping I will be able to write something daily. *Crosses fingers* As I know that most of you haven’t and won’t be able to watch this series, each entry will contain a very brief description of the episode, a sentence or two maybe, so you will know what I am referring to when I start going off on a ramble. I haven’t finished this sitcom yet but I will be rewatching this from the beginning as I write this series. I can watch this sitcom over and over and over… There are 170 episodes of ILICDD; there definitely won’t be 170 entries. I don’t know when I will finish this l series but I hope you’ll join me for the run. Please don’t be afraid to leave your own thoughts and responses. Like I said, I want to engage in conversation with my readers through this series. A (virtual) penny for your thoughts and your knowledge. I’m going to ask a lot of questions so I hope you will provide me with some answers. So here it is, the first post of the Cheongdam-dong Diaries. 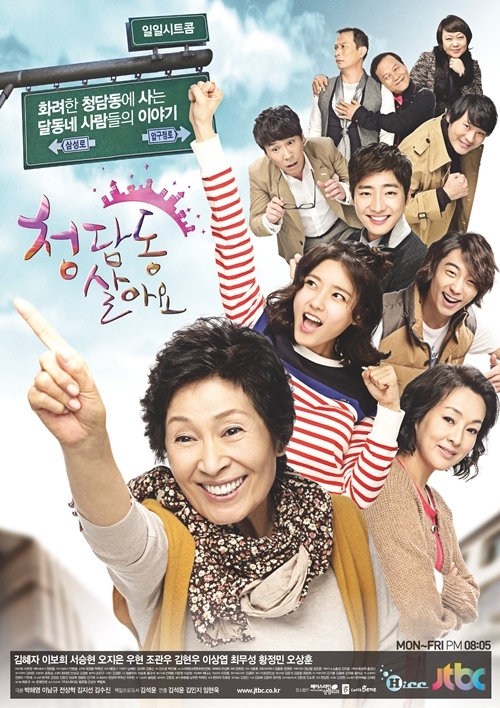 In episode one of “I Live in Cheongdam-dong” our dirt-poor family (Kim Hye-ja, the mother; Bo-hee, her younger sister; Woo-hyun, her younger brother; and Oh Ji-Eun, Hye-ja’s daughter) move into and take over a manhwa-bang (comicbook store) in Cheongdam-dong, an affluent neighborhood in Seoul. They’ve moved here in hopes of a better life. You see, all you have to say is “I live in Cheongdam-dong” and everyone knows your standing in society. You are the educated, the privileged, and the successful- the top crop of Korean society. In Cheongdam-dong, your background is your shield and money is your sword. Residents here judge people by three things- their education, pedigree, and bank account. The manhwa-bang. So out of place in Cheongdam-dong, just like our family. Our little family has basically moved into the manhwa-bang illegally; the real owner is a friend of Hye-ja’s and he’s gone missing on a trip. 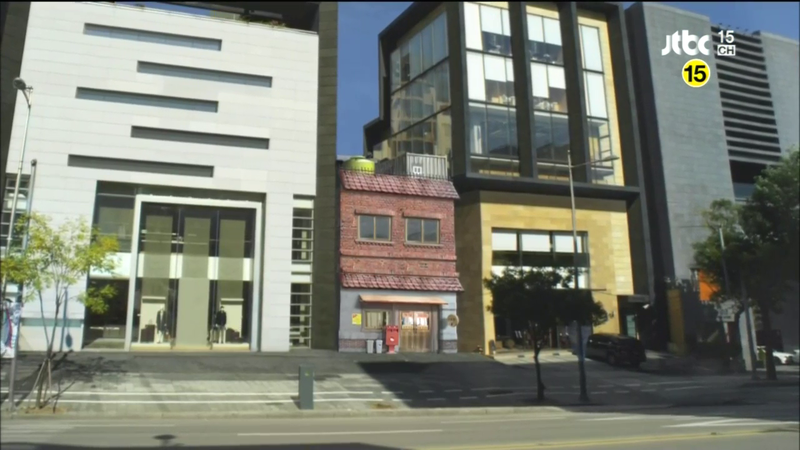 In order to supplement the income from the manhwa-bang, Hye-ja also runs a boarding house on top of the manhwa-bang. Woo-hyun’s artistic partner (Woo-hyun is a manhwa artist), Sang-hoon, is one of the first boarders. He writes the manhwa story and Woo-hyun draws. They have yet to find success career-wise and relationship-wise. Both are scary-looking people so life is pretty rough and judgmental on them. But sometimes, being scary-looking can be helpful, especially when you have to hunt down manhwa-bang customers with overdue fees. Ha! Hye-ja also gives Hallyu tours to Japanese tourists for additional income. On one of those tours, she accidentally enters a poetry class being held at a high-end department stores for its rich V.I.P. customers. Hye-ja tries to leave this place, filled with women who are smarter and richer than her, but fate keeps blocking her path. She ends up staying, lying that she is also rich and likes to dabble in poetry-writing. 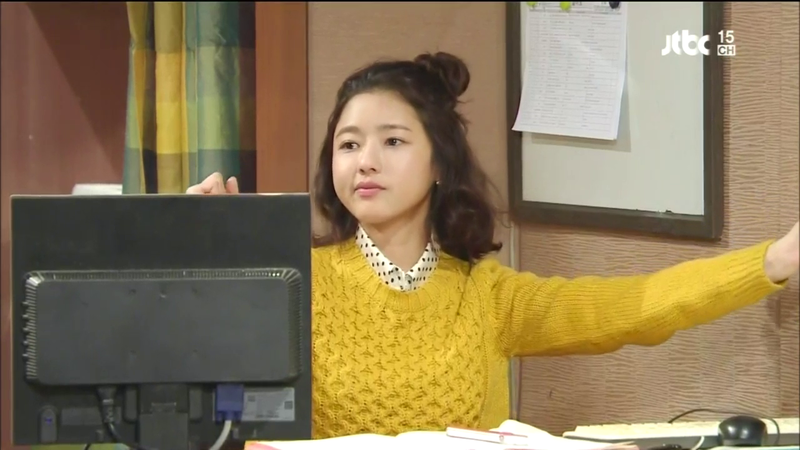 In reality, Hye-ja has no time for such a leisure activity. By some strange working of fate, Hye-ja is officially given a membership card to the club. 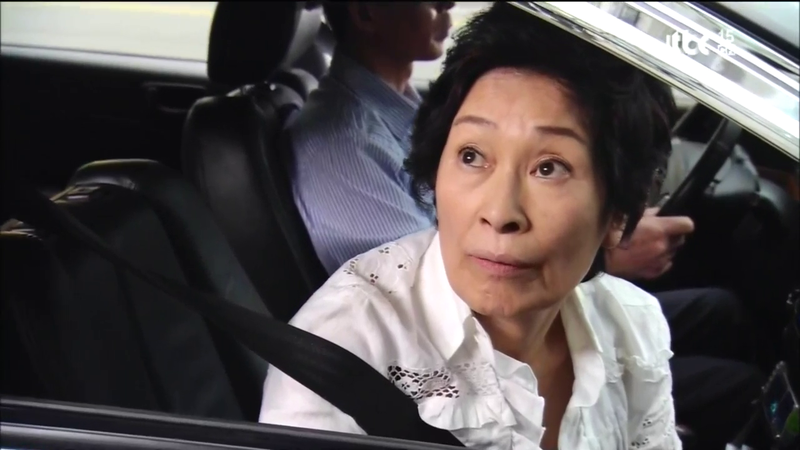 With that, she decides to keep coming to the poetry class, believing that if she keeps pretending that she is a Cheongdam-dong woman, she will truly become one one day. Hye-ja’s daughter, Oh Ji-eun, is 26 years-old and she graduated from a no-name college. She is currently the assistant to the chef’s assistant at a hotel restaurant. She dreams of marrying a rich man, a “Cheongdam-dong Man” who has the perfect specs- good parents, a good education, and a good career. She incidentally runs into one, named Lee Sang-yeob, but she realizes that with her specs, she won’t even register in his radar. He’s surrounded by pretty and well-to-do women. There’s this other guy, a stark contrast to Lee Sang-yeob. He’s tall and good-looking, but he doesn’t seem to have a job and he spends his time at the manhwa-bang. Which means he’s poor with no future. So Ji-eun immediately crosses him off her list of potential mates. Oh, Ji-eun. You don’t know what’s in store for you. Heehee! La! That “brief” description was longer than expected since I had to introduce the story and characters. On to my thoughts and questions! Do designer bags make woman really that happy? I’ve noticed that in the media, Korean women are portrayed as being crazy over designer bags, that a man giving one to a woman is better than the man saying “I love you.” There is this strange attachment to bags that Korean women seem to have that I just don’t get. It’s hard for me to understand personally, because I am all about practicality regarding bags. You see, I treat them very roughly. I don’t know. I can understand wanting designer clothes but bags just don’t seem to be worth the thousands of dollars. It just seems so much more frivolous to collect designer bags rather than clothes or even shoes. Sociologically, how did bags come to have such symbolic meaning for Korean women? Ji-eun bought a designer bag, claiming that it helps in making a good first impression, even though she has to make months of separate payments in order to pay if off. She knows that it takes three-seconds for people to make an assessment about other people, so she wants to look confident when a man looks at her. Hmm…feeling confident because you’re wearing something expensive. I know that feeling. Why do expensive things make us feel more confident? Hye-ja said that poetry was always on the side of the hungry, on her side. But seeing the poetry class only being available to the rich V.I.P.’s, she thinks, “Ah, poetry must be tired of being hungry.” LOL. I’m not a poetry aficionado so I don’t really understand what Hye-ja said. How is poetry always on the side of the hungry? Does the content and structure of poetry connect more to the poor and hungry than novels and other literature? It’s hard to find this series for download, let alone English subs. *Sob* So many people are missing out on this wonderful, beautiful drama! It aired on jTBC, a new cable channel so it’s hasn’t been that widely watched or available. 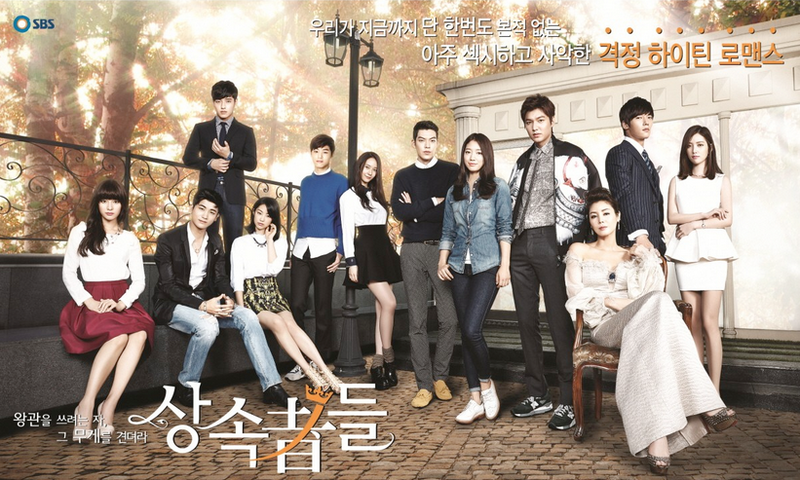 I’ve been watching it on Tudou since I can’t torrent, but torrents are available at the Soompi forum. You can also find English-subs for the first few eps at Dramatic The Vault. (Edit: No subs available anymore) Please leave a link if you know other places this drama is available at. But since I don’t understand korean, I’ll have to wait for more subs to try this one, which seem very good. Wow, you could watch 170 episodes of sageuk? That’s a lot of love for the genre. Oh ILICDD is so good and I cry because of the lack of English subs. >Wow, you could watch 170 episodes of sageuk? That’s a lot of love for the genre. In fact twinkle twinkle was not my last, the last was Ojakgyo Brothers, 58 ep , my second long running drama, and it was great too. it’s still on my Dramacrazy list for the day someone would sub it ! You know it is EVIL with a capital EVIL to tempt non-K watchers with a non-subbed non-available show? I have been down that path with many a drama, and it causes bad behaviour and confuses my family. I tried. I failed. I cried and poured lighter fluid all over Koala’s playground, all the while crying some more. T___T. I would have asked for forgiveness if you hadn’t (figuratively) burned my blog. LOL. I haven’t even thrown in the match yet….I’m giving you three minutes to make amends. Uh-oh, it’s been more than three minutes. My blog is on fire. Will you put it out if I make amends now? Hmm…(virtual) cookie? Sorry, he’s mine and I can’t part with him. I know! I know! T___T I’m evil incarnate. But I couldn’t contain the love for this drama! A Wife’s Credentials is also from jTBC. I’ve heard good things about that drama. I’m starting to think that jTBC is the play to go for quality dramas. The thing is, a good show really is rare, and so worth the pain. It’s not like you are dubbing a bunch of shows with your Joonni scepter as soul stealing. I just hope a smart group of people DRAMAFEVER get on it. They usually do eventually. Meanwhile I have to pretend I don’t see any posts here on the show so as not to spoil. I think I might be able to get my hands on raws, which means I can either sub this myself or do recaps. Yay! Jomo! You know that A Wife’s Credentials is subbed now right? redpinkboxes on twitter kept telling me to watch, and it’s on my list, but it’s. so. long!!! maybe when standby finishes i’ll start on this. anyway, on your question about poetry and the hungry, i suppose poets in the past are never rich people to begin with? I started watching this because of redpinkboxes and oh…She is an angel for introducing me to this lovely show. I guess any sort of writer is never really rich, unless they hit it big, and there’s less of a market for poetry than novels. Also, personally, when I read poetry, I feel more of the simple human connection between the writer and the reader than when I read a novel. I think there’s less room to be pretentious in a poem than in a novel. Particularly when I read Korean poems. Korean poems are really lovely and heartfelt. Hmm..I can relate to Korean songs more than American ones because of the content and rhythm. I haven’t heard of this drama until you mentioned this in one of your posts just recently. I tried looking for it in other sites but I couldn’t find one. It’s sad that I couldn’t watch this like you do coz I sort of got tempted especially when I saw one of the cute chefs in Pasta as part of the casts, the other guy Ji-eun crushed out as a probable mate. hee! Yes, Hyun-woo was one of the chefs in Pasta. I didn’t see the drama myself, but after watching this sitcom, I really want him in another drama soon. I want to see him all over television! Especially bags. I use mine till they tear so it’s hard for me to even consider buying designer bags. Also, while carrying it around, I don’t want to have to worry that I’m going to get the bag dirty, especially since bags often find their place on floors and other dirty places. Same here…I stuff everything that I could bring inside my bag and replace it when it’s already torn or totally dirty. Besides, if ever worst comes to worse, my bag would get stolen or lost…it wouldn’t be much of a burden since it’s not that expensive. Hee! hey Joonni, I am curious why you can’t download torrents. Cuz it’s so super easy and fast. Since I am in Seoul, I can download an entire episode in under a minute almost every time. I couldn’t imagine recapping without torrents. My sister lives in the states and even she can download pretty quickly now after I taught her so I saved her hours of waiting time. This drama sounds interesting, but 170 eps is scaring me. I don’t think I can commit to that many. I like the premise though. As for designer bags, since I live in Korea and hang out at cheongdamdong and know it like the back of my hand, I can tell you right now, you can spot an outsider right away from the way they are dressed. No one would dare to carry a fake or no name bag around there out of fear of getting looks of pity. The really funny thing is this whole “must have a nice bag” mentality all started here in Korea for me. I was like you and only went for durability in the states, but now it’s more about what’s trendy and pretty. great bags are the easiest accessory to compliment any outfit. Unless you own a car, wearing designer shoes around these rough roads and streets would ruin the soles in under a minute. As for nice designer outfits, every time you think you are dressed like you stepped off the runway, there is always another woman who looks like she just came from Paris fashion week decked out effortlessly from top to bottom in Chanel. It’s a fashion face off every time you walk down the streets in apkujeong and only the super wealthy can keep up. My network’s firewall prevents torrents. Thankfully there are some fast uploaders who upload unto other sites. I can usually get my hands on one three hours after an episode finishes airing. Bless those uploaders. Don’t be scared by the length. It’s not about making a commitment…it’s just a really fun to watch. I think you would really enjoy, judging from your favorite dramas. I lived about a year in central London and I experienced a similar thing to you. I usually dressed in jeans and sneakers but after living in London for a while, I started to dress more nicely because everyone around me did. Those girls looked liked models with all their designer clothing and bags. I never heard of this drama either, but Koala has it on her list of currently watching, too. But 170+ is a scary number… it really takes dedication to keep up and watching 3 or 4 dramas now at the same time, I can’t imagine I could fit it in even if was readily available! So, I guess I’m grateful it’s not b/c I don’t need additional tempations!!! That’s what I have been suffering these from these days too. So many dramas. But really, this one is so worth. So worth it. Since it’s sitcom format. Each episode is 30 minutes only. It’s doable! Help! Dramatic (aka Kdramaempire) has gone AWOL… and he’s the only one recapping my Kdrama cracks: Reply 1997 and I Live in Cheongdamdong! I’m going batshit crazy if I don’t have my fix. I blame you for my dark circles. if I didnt read this post back in august, I would have missed out on this. as you know, I downloaded all 170 eps on tuesday night and said I wouldnt start it. then I turned around and clicked on the first one. then a few more. after my arang E17 recap, I went back to marathoning this drama. now I am on E33. I desperately need to sleep cuz the human body cant survive on 2 hrs for two days, but I cant seem to stop watching this. at this rate I will be done by friday and have to go straight to a hospital for being sleep deprived. I still find the bird “cawing” sounds after each funny line hilarious and hate the intro music, but what really gets to me is that photoshopped main pic of the comic bookstore cuz those two on each side are actual buildings in CDD. the street the characters walk on is accurate too. they must have shown the galleria department store like a million times but wrote gloria on it. since I am still at the part where no one is in love yet, I hope this drama doesnt make me cry. I am enjoying the humor too much to throw in tears. will keep you posted. peeking my curiousity. I love bags and shoes but not the designer ones, the price is too impractical for me. I agree on all your views about those things, designers, and poetry, let;s see if there’s an availble English trans , if none, truly this is EVIL as jomo said. heheheh! Hi 2nd visit here. Hope you’re still writing about this series. I am now downloading the whole 81GB shebang. Plus read the ending on Soompi * dammit, didn’t want to , it was an accident ” Who the heck would want to know the ending of a 170 episode drama anyway before they start? Counting on you joonni. Plus all the raving on the Internet about this series has me curious. Hope my Korean is up to scratch for this. It is terribly unfortunate I would miss so many witty and well written lines just because I can’t understand it. 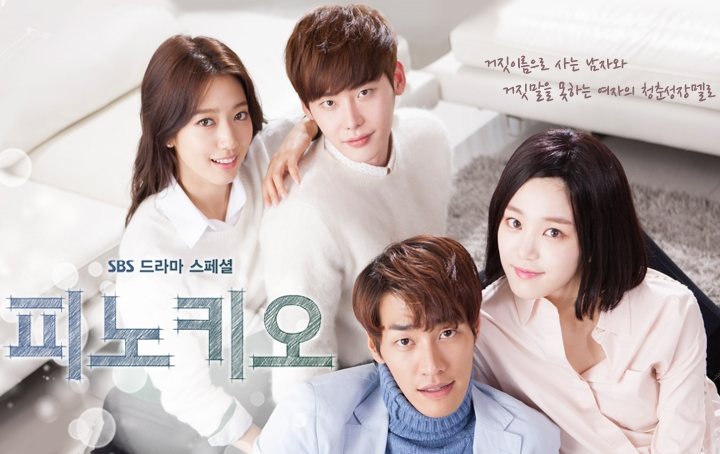 This drama deserves lots of viewers but it’s sooooooo long. I knoooooooooooooooooowww………… there’s like 81GB to download. It’s been 2 days now and I haven’t got a single episode downloaded properly via torrents. It’s killing me. Episode 170 is NOT even being seeded. Sigh. There are no subs at The Vault. Please take that link off, we don’t want another site by MisterX taken down by those stupid corporations. He’s only writing there. gift to, and you’ll come up with a fantastic birthday gift idea. Hold on composition mate, you made it genuinely dependable.